Manifest whatever you want with yoga. Really, whatever you want, it is possible! 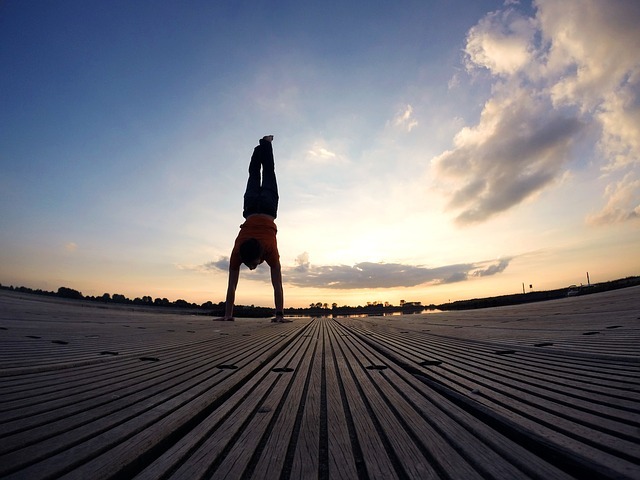 Yoga is so much more than stretching. The ancient arts of yoga and meditation help you to connect with yourself, connect to the world around you, connect with nature and with other people, and most importantly, connect you to the true source, to God, the Divine, or that which you feel is greater than yourself. It’s not always easy to connect to this divine essence, making it hard to understand the true magic of yoga. There are so many things: the bandhas (internal muscle locks), your breath, and let alone the incredibly challenging postures you have to hold! This might cause the subtler benefits to slip by you. Over time, if you commit to your practice, this begins to shift. Even with just one weekly class, you’ll soon start to notice the difference. As you become more comfortable in your body, you grow stronger and more confident doing the poses regularly, allowing space for your mental, emotional and spiritual growth. 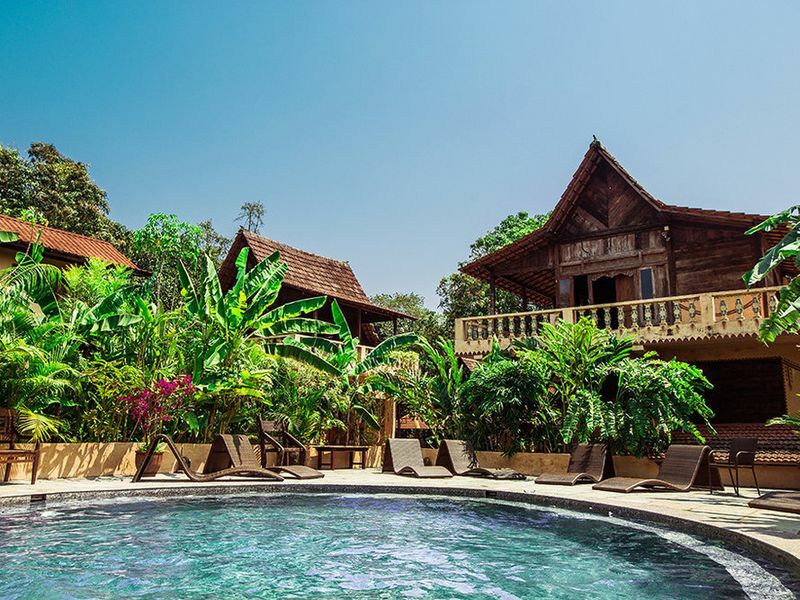 Discover the magic of yoga on a spiritual yoga retreat! As we become more conscious, every movement and every breath has a greater significance - we start to understand why we are moving our bodies into these often-contorted shapes - to create space in the body, which in turn creates space in the mind. As we create more space in the mind, the mind becomes clearer, less sluggish and less burdened by mundane thoughts. This clarity brings on a profound sense of peace, of being content with all that we are in that moment, not desperately clinging onto the past, or seeking answers from the future. In that moment, we are one with ourselves, with God, with the Universe, with all. We melt into it, into this feeling of vast expansiveness and heightened awareness, of where we came from and where we will eventually return. When we use mantras during meditation or practice yoga with a positive intention (sankalpa) this adds a layer of magic to our practice, which enables us to manifest whatever we want for ourselves! “Mantra” comes from a Sanskrit word meaning a “sacred message or text, charm, spell, counsel” and more commonly involves repeating over and over in your mind a word or sound or series of words, aiding in concentration during meditation and often providing a positive affirmation, such as “I am grateful and content” which you can then manifest in your life. Setting a “sankalpa” before you practice yoga can greatly enhance the overall practice and can lead to far more transformative results. For example, if you dedicate your practice to someone who needs your love and energy, you offer the results of your hard work and energy to another being, which is hugely rewarding for all involved. Also, if there’s something you want to bring into your own practice, a certain strength or energy, then your sankalpa can be used for this - both on and off the mat! So, if you’ve got a big day ahead and you set an intention along the lines of “I am confident and empowered”, you’ll bring this energy from the mat, into your day and it is truly magic how powerful the effects of your intentions and mantras can be! You don’t even have to move your body, you can actually set a daily intention every morning when you wake and it will have the same effect. I invite you to become a more conscious yogi this year! If you’ve never practiced yoga, book your first class or a beginners yoga retreat and welcome to the ride of your life! Have no expectations and be patient with the process. It will be a wonderful journey, but it can take time for your mind to shift. 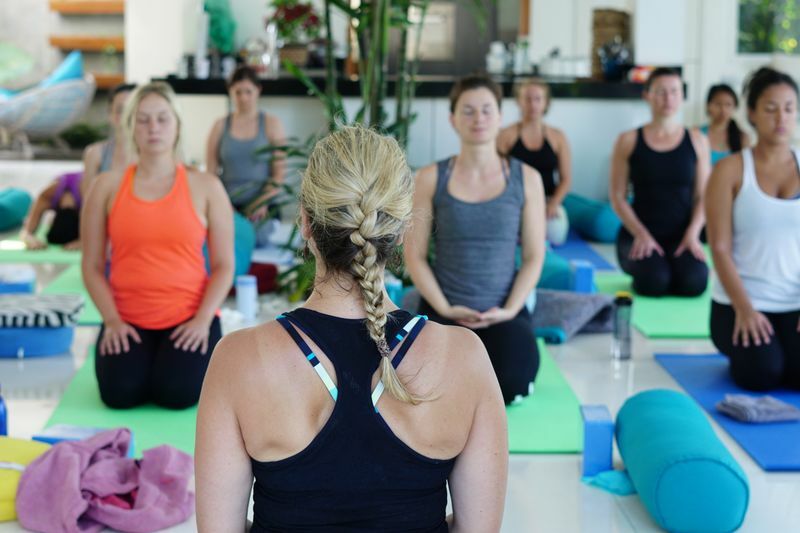 If you want to fast track the process, join me on one of my 2019 retreats and deep dive into the world of yoga and meditation. 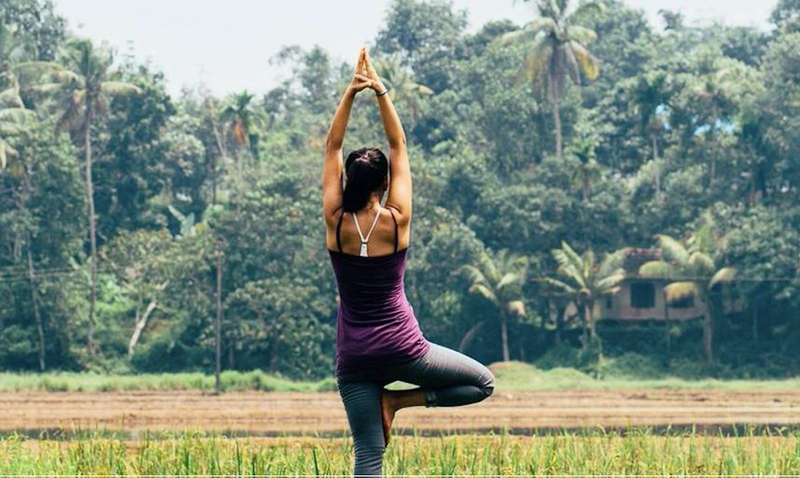 If you’ve lost touch with your practice, reconnect and take a new style, or practice a gentle but mindful flow or a few invigorating stretches at home. This will get you back into your yoga groove, reminding your body-mind what it is that you love about yoga. If you’re ready to create magic, start working with a daily intention or weave a mantra into your daily meditation. Repeat the words in your mind that you truly need to hear this year. Plant those seeds of thought deep within your being, so they can be nourished and grow and finally manifest at just the right time (when you least expect it). When you connect in this way, more consciously, whether you prefer a still, seated meditation or a dynamic, flowing Vinyasa Yoga, the results will be transformative! Remember to trust the process; surrender to the flow of life (the ups and the downs); have faith that all your needs will be met this year; and create the life you want and the love that you seek, by sending it out into the Universe and always giving to others what you wish to receive. Like attracts like and if you feel you’re lacking something, just send it out in abundance and you’ll receive abundantly in return. Join Sally-Anne on one of her Yoga Light Vibes retreats and start manifesting your dreams with yoga! Sally-Anne Sweeney is a London based Yoga Teacher (500 RYT qualified), Co-Teacher on the Quantum Yoga Teacher Training in Ibiza and Founder of Yoga Light Vibes - Uplifting classes, workshops and retreats. Teaching in the UK, India, Ibiza and around the globe, Sally-Anne brings high energy and good vibes to her classes and retreats. Based in Hackney, Sally-Anne teaches all over London, bringing her creative and mindful, flowing vinyasa to studios, offices and private homes alike. 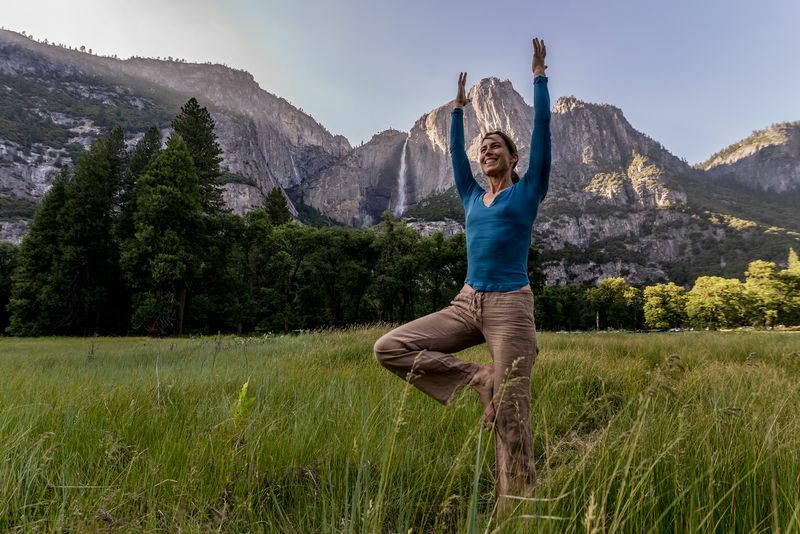 Her previous worlds include Legal and Innovation, but she couldn't be happier to have found her true purpose, passionately spreading the wisdom of Yoga.